A team’s fan base sees its players differently than others would, and I’ve learned lately that there is no truer example of this than the Philadelphia 76ers. Fans of the white, blue, and red see (Get it? Moses? Red “see”? It’s not just me, I promise… there will be more…) things through an entirely different lens than the rest of the league, and because of this, I’ll do my best to explain an understanding of Moses from the perspective of a hoops junkie who is neither attached to the city of Philadelphia nor old enough to have seen him play in person. 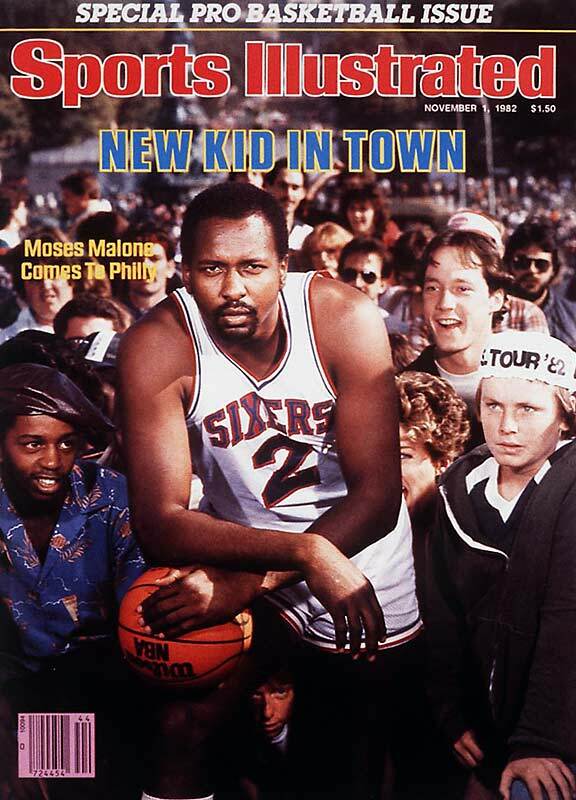 “Everything you need and nothing you don’t!” That’s how we would always describe Moses Malone. My college roommate and I played endless hours upon hours of NBA 2K during our glory days. We would invent gimmick after gimmick for team after team to create and play against each other while we talked about our days and our lives. The second we allowed each other to choose historical players, Moses was gone. Adam’s team every time. I would scroll right to the 1984-1985 Sixers squad for a heaping helping of “Everything you need and nothing you don’t!” He was an A+ rebounder, A post defender, A+ inside scorer, and nothing else mattered for what you’d want from a big man – and that was just in a video game, let alone real-life 1970s and 1980s-style basketball. This experience naturally led to clip after clip of YouTube research into his history. Basketball player profiles are unique. It’s why the NBA Draft is so fascinating. We have enough history to be able to compare almost any trait of an incoming player to that of a similar player to better understand what it could mean in the context of an ever-changing game – “comps” are a full-on business. Know where you hardly ever hear comparisons for play styles like you do for NBA players? Any other sport. NFL quarterbacks, maybe, and that’s about it. The personal styles of individual players are never on display quite like they are in the fluid, dynamic, and open environment of a five-on-five basketball game. So what do we find out from watching Moses? What stuck out to me most about watching real-life Moses game (YouTube) footage and highlight reels is that they’re honestly not all that much fun to watch. 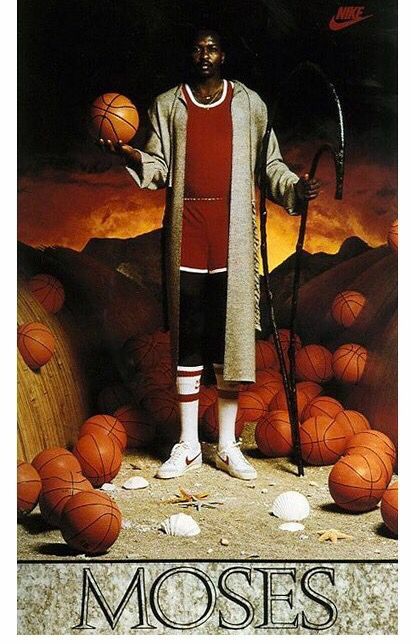 Everything out there is just Moses banging around and grinding under the hoop. He’s consistently him, which makes me appreciate him more. You know what you’re getting: the platonic ideal of a quiet, somewhat unpolished rebounder and banger who never quits. There’s immense value in that, but Sixers fans already knew this. That all of this was already on display at age 18 and remained so until Moses’s last year at 39 is nothing short of phenomenal. He went from a boy among men to a man among boys. In context, his longevity is even more impressive considering the mileage his playing style must have put on his body and how we all know now that few athletes took good care of themselves then. He wasn’t a distributor or some spot-up shooter who was allergic to the paint – quite the opposite. 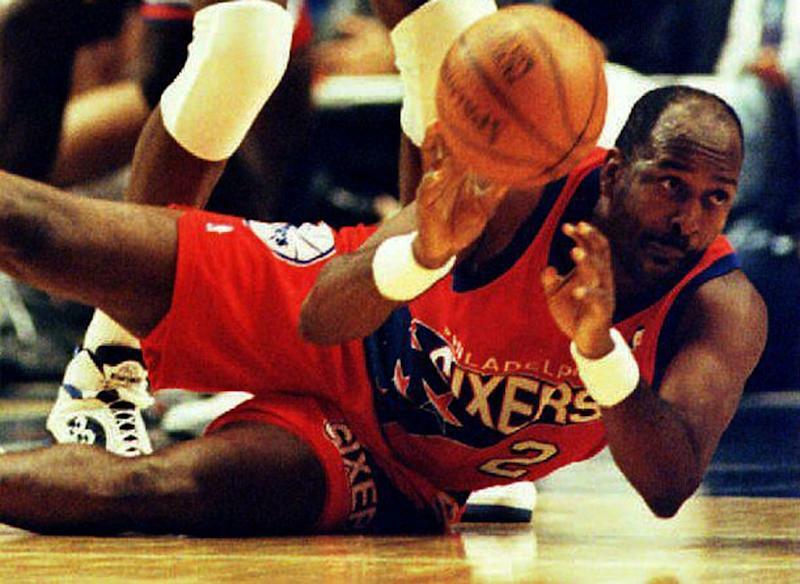 He was a voracious rebounder who couldn’t get enough of the action under the hoop. And I think that’s the point. He never quit. There’s not a ton of flash. There’s not a ton of fanfare. He just never quit. Or, in the words of the subtitles from this highlight reel, “Moses tiene mucha tenacidad.” I don’t need to be a native speaker to piece that one together. The last video of his that I watched, which made the biggest impact, was his sneaky great Hall of Fame speech. First off, he’s funny! He knows he’s unique and a little awkward, and he does a great job playing into it! However, what really stuck with me was his sense of perspective. It’s not at all surprising that he was so successful. You can tell he still doesn’t feel as though he’s a “celebrity,” just as he says. He mentions his role and the roles of so many other people who help others on a day-to-day basis but remain so much less famous than him. The humility and perspective are really things to take away from his speech. I think they made him who he was both as a person and a player. I wasn’t the least bit disappointed by this dive into all things Malone. The takeaway was, “He gets it.” Philadelphia was lucky to have him. Moses was a real one.